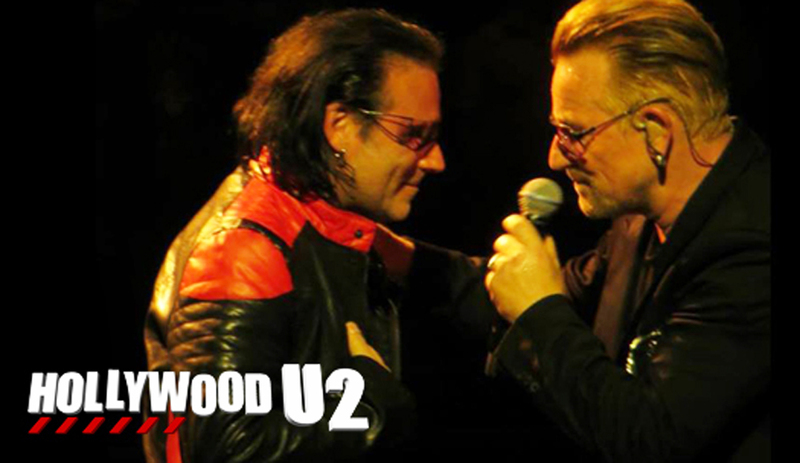 Hollywood U2 is the most authentic tribute to U2. Bono Approved, lead singer Joe Hier sang live on stage with Bono and U2 on their recent i.e Tour. Bono said of Joe Hier on a KROQ interview after “That he was the split of me…he sang beautifully”. The Edge said “He knew the song better than we did”. A tribute band cannot receive higher praise then that of the band it pays tribute to. Hollywood U2 are the only U2 tribute to be chosen to perform on Mark Cuban’s network television show on AXS.tv “The World’s Greatest Tribute Bands” and made history on the show by being the first band ever to be invited back by popular demand for a second extended live TV performance. They perform songs that span U2’s 40 year career with the accuracy and heart of U2. This is a must see show for all U2 fans.